(Natural News) Rwanda is a country in east Africa where going from one place to another by land is difficult because of its mountainous landscape. Therefore, the Rwandan health ministry partnered with a Silicon Valley robotics firm to deliver blood and life-saving medicines to remote hospitals via airplane-like drones. The air drop delivery service, known as “Uber for blood” has shortened the delivery time of life-saving medicine in remote areas in Rwanda from four hours to an average of 30 minutes. In 2016, the health ministry and Zipline, the robotics firm, delivered over 5,500 units of blood. Zipline is delivering blood to 12 regional hospitals, with approximately 500,000 patients each, from a base in the east of Rwanda. When a doctor or a medical staff needs blood or other medical supplies, they send a message via WhatsApp or log on to the order site of Zipline. If the order is complete, they will receive a confirmation message that says a Zip drone is on its way. When the drone, which can fly up to 60mph, is within a minute of the destination, it sends a text to a doctor. Then, the drone drops the medical package that is attached to a parachute into a special zone close to the hospital before returning to its base. However, there are criticisms regarding the partnership between the Rwandan government and Zipline. Critics questioned why the government invested in high-tech schemes when the country needs more basic infrastructure, roads, and health centers. Despite this, the drone delivery service is saving lives and blood by reducing maternal deaths and cases of malaria-induced anemia and reducing wasted blood. “The work in Rwanda has shown the world what’s possible when you make a national commitment to expand healthcare access with drones and help save lives,” Keller Rinaudo, Zipline’s co-founder and chief executive officer, said. The idea for the drone delivery service started when Rinaudo visited the Ifakara health institute in Tanzania in 2014, where he met a graduate student who built a mobile alert system for health workers to text emergency requests for medicine and vaccine. However, at that time, the government was not able to fulfill the requests. “We’ve designed Zipline to solve the second half of this problem. We know who needs medicine, when and where. And now, we can get them that medicine as quickly as possible,” he said. The company plans to partner next with the government of Tanzania and deliver various medical products, such as blood transfusion supplies, HIV medication, antimalarials, sutures, and UV (ultraviolet) tubes, to four areas in Tazania that will cater to over 1,000 clinics. Two companies are collaborating to deliver automated external defibrillators (AEDs) by drone. 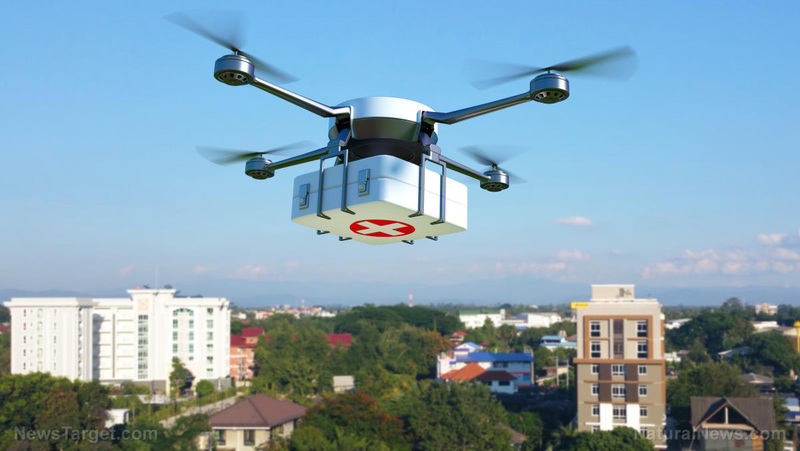 Flirtey is the first firm to secure Federal Aviation Administration (FAA) approval to test drone delivery, while Regional Emergency Medical Services Authority (REMSA) is an ambulance service that operates in Nevada. The delivery of AEDs will mainly cater cardiac arrest victims in Nevada. “When it comes to cardiac arrest, speed is everything so for every minute that a victim waits to receive defibrillation, their odds of survival decrease by about 10 percent,” REMSA CEO Dean Dow said. The drones will fly autonomously and will be remotely monitored by an operator from Flirtey’s misson command center who can take over if necessary. Drones will deliver AEDs, while ground ambulances are still on the way. This will increase the chances of a heart attack victim to survive. They hope to launch the service this year after testing. “We firmly believe that this is one of the most important uses of drone delivery technology, and by democratizing access to this lifesaving aid, our technology will save more than a million lives over the decades to come,” Matthew Sweeny, CEO of Flirtey, said. Read more stories on drones and other robotics at Robotics.news.